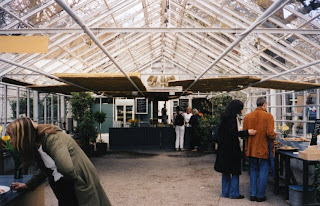 One of our favorite places ever is Stockholm. I love the landscape, the food, and all the activities for families. 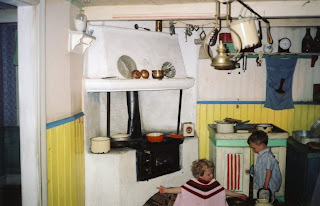 Junibacken is the theme park (for lack of a better description--it really only has a train ride, but it's filled with very cool activities--play house, etc) and it is an hommage to Astrid Lundgren, the author best known for Pippi Longstocking. 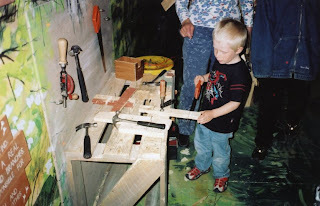 I love that kids can play house, in a totally not dumbed down house set, and they even have an area for kids to do construction--they have hammers, saws, nails, wood that looks like you'd get a splinter just looking at it...and no supervision. I know that sounds crazy, but the Swedes just assume that this is how you learn. Really close by is one of my favorite places to eat lunch in the world. 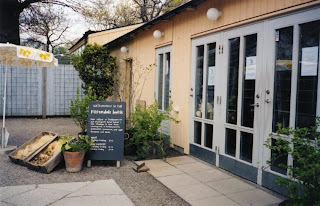 It's the Rosendals Tradgard , which is a garden/greenhouse shop, with a boutique, and an delicious organic cafe.